Are you ready for the next Challenge?! 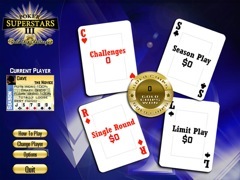 Poker Superstars III Gold Chip Challenge raises the stakes with new superstars, new gold chips to win for great plays and a brand new challenge play mode. Import Your Photo! Be the Poker Superstar you know you are, and see yourself right in the game! 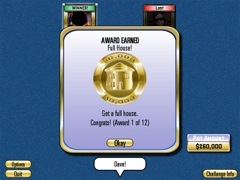 Poker Superstars is the game that is packed with challenge. The Superstars are up for the new challenge, are you?